Nonsteroidal anti-inflammatory drugs (NSAIDs) are among the most popular and most commonly prescribed medications for arthritis. NSAIDs can be taken orally in the form of tablets, capsules or liquids. NSAIDs are also available in a topical formulation, as a cream, gel or liquid applied to the skin. How Do Topical NSAIDs Work? Topical NSAIDs penetrate slowly, delivering small amounts into the systemic circulation. Compared with oral NSAIDs, topical application leads to relatively high NSAID concentrations in the dermis (the layer of skin beneath the epidermis that consists of connective tissue). Concentrations achieved in the muscle tissue below the site of application vary, but it's at least equivalent to what's achieved with oral administration of NSAIDs. Topical NSAIDs do reach the synovial fluid, but how much and by what exact mechanism have yet to be determined. Individual differences in the skin may account for certain variations seen in the absorption of topical NSAIDs. 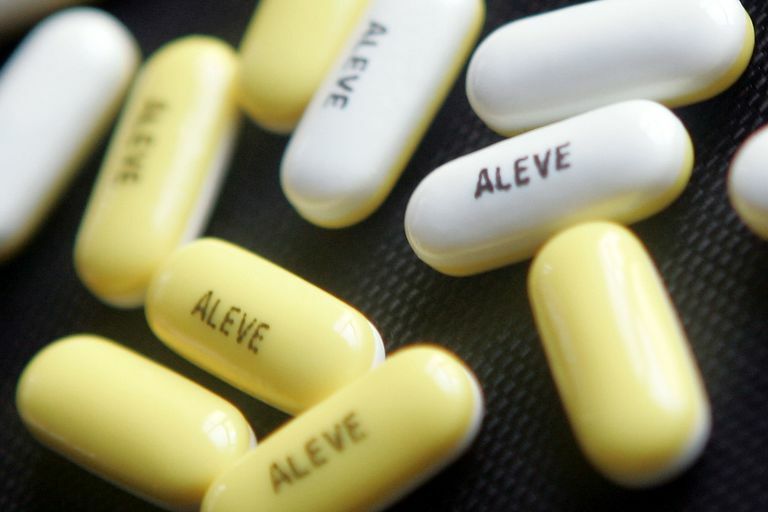 Generally speaking, it's difficult to determine whether topical or oral NSAIDs are better because it has been demonstrated that in clinical trials there is a very high placebo rate. People report pain relief even if there is no active ingredient in the pill or cream. How Do Oral NSAIDs Work? Oral NSAIDs are pills, capsules or liquid medications that are swallowed. They pass through the digestive system and are absorbed into the bloodstream, having effects throughout the body. Oral NSAIDs work by inhibiting cyclooxygenase (COX), an enzyme which catalyzes arachidonic acid to prostaglandins and leukotrienes. Arachidonic acid is released from membrane phospholipids in response to inflammatory stimuli. Prostaglandins establish the inflammatory response. NSAIDs interfere with the production of prostaglandins by inhibiting cyclooxygenase. Topical NSAIDs have a better safety profile than oral NSAIDs. Adverse effects secondary to topical NSAID use occurs in about 10 to 15% of patients and are primarily cutaneous (rash and pruritus - itching -- where the topical NSAID was applied). Gastrointestinal adverse drug reactions are rare with topical NSAIDs, compared with a 15% incidence reported for oral NSAIDs. In the BMJ, researchers concluded that "topical NSAIDs are a viable, safe alternative to oral NSAIDs for the treatment of knee osteoarthritis, even if a placebo effect explains most of the value of these topical agents." As always, discuss your options with your doctor and work together to find which is the best choice for your condition and situation. Oral versus topical NSAIDs in rheumatic diseases: a comparison. Drugs. 2000 Sep;60(3):555-74. Heyneman CA et al. Oral vs. topical NSAID for OA pain - how and why people choose treatments. December 5, 2007. UKMiCentral. NHS.